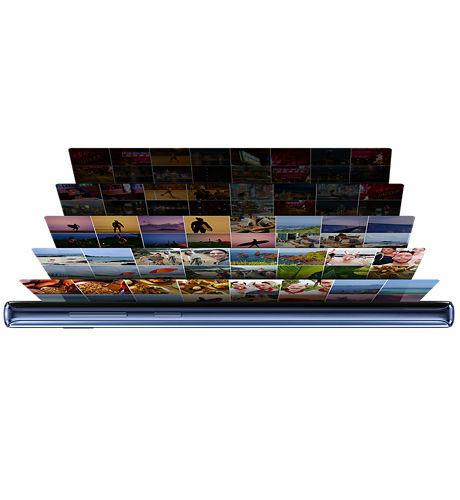 The next evolution of S Pen. Control your camera lens, switch PowerPoint slides, change music tracks and more. 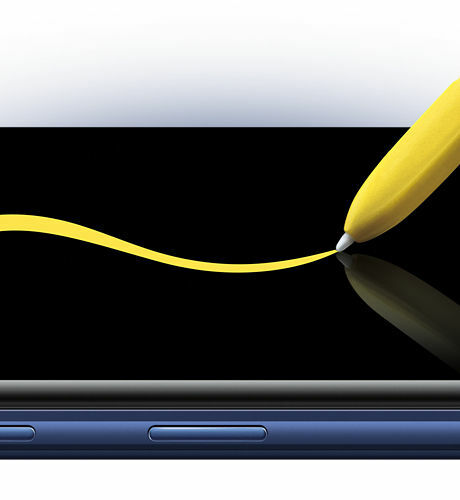 The new S Pen enhances your productivity by allowing you to remotely control your Galaxy Note92 via Bluetooth™. 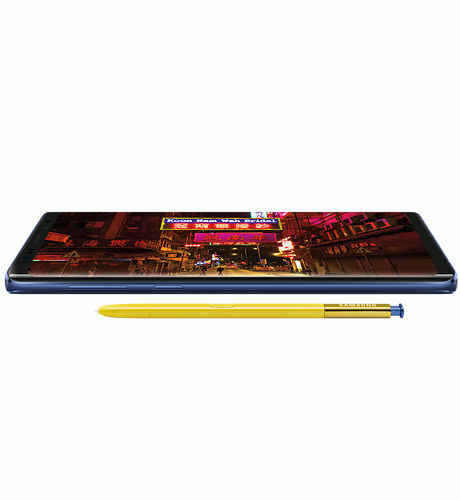 With a Quad HD+ Super AMOLED display and 6.4-inch screen, the Galaxy Note9 gives you next-level color contrast and detail for YouTube binges, gaming sessions or video chats. Take photos in any light using a dual-aperture camera that automatically switches between f/1.5 and f/2.4 lenses according to your surroundings. 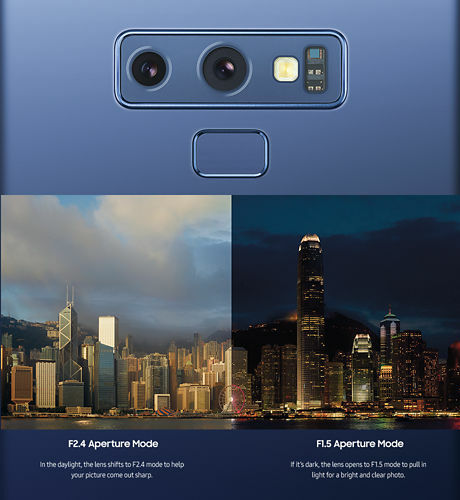 Capture your subject and minimize blur using advanced features like 2x optical zoom, Live Focus and Optical Image Stabilization (OIS). The Galaxy Note9 adjusts its color settings according to your surroundings, so you always get the best contrast available. And with real-time subject flaw detection, you can avoid unseemly photo gaffs like closed eyes, lens smudges, image blur and more. Create your own personalized AR emojis that move and act like you do. With Live Message, you can use your S Pen to spice up texts with hand-drawn emojis, animated GIFs and fun messages on your photos. Get more done with Bixby 2.0. Simplify your everyday routine with Bixby 2.0, Samsung’s next generation of voice assistant. Browse and shop online using quick and intuitive voice commands. 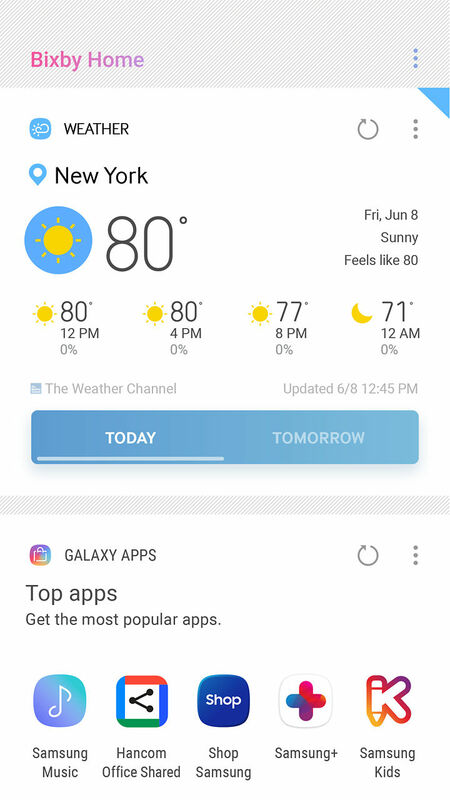 Bixby 2.0 adapts according to your preferences and allows you to access a single profile on multiple Samsung devices. Save more and delete less using 128 GB of built-in storage, or get even more room with a 512 GB option that includes an upgraded 8GB of RAM. 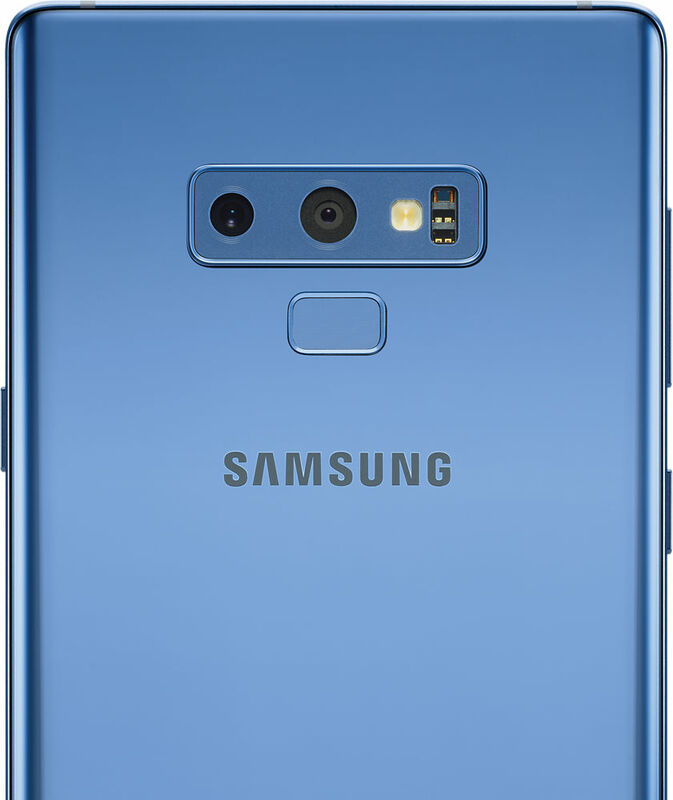 The Galaxy Note9 is your all-day companion for talking, texting, gaming and more. Its 4000 mAh battery lasts up to 40 hours,5 and is Fast-Charge compatible to fit your busy life. A quick and secure way to pay. Plug right into the headphone jack and start playing music. Or keep your information private with a biometric scanner that unlocks by scanning your eyes, face or fingerprint. 3 The Dual Aperture supports f/1.5 and f/2.4 mode. Dual Aperture is installed on the camera. 4 Dex and Cable (HDMI adapter) sold separately; compatible to Galaxy Note9 and Tab S4. Some functions may differ from DeX Pad/DeX Station. 5 Based on average battery life under typical usage conditions. Average expected performance based on typical use. 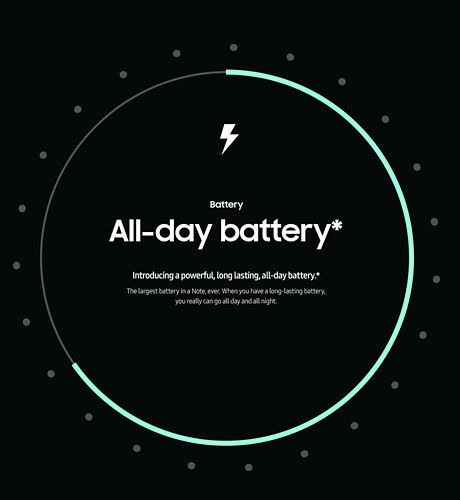 Actual battery life depends on factors such as network, features selected, frequency of calls, and voice, data, and other application-usage patterns. Results may vary. 6 IP68-rated water resistant for up to 5 feet of water for up to 30 minutes. Rinse residue/ dry after wet. 7 Regular Slow-mo is 240 frames per second. Super Slow-mo is only available for up to 6 seconds of recording. 8 Galaxy Note9 can capture in 4k video but screen does not play back in 4k. 9 Samsung Pay is only available in select countries, with certain devices, features, card issuers and merchants.